Hawaii is one of the best regions in the world for watching humpbacks: From December to April several thousand animals give birth to their calves there. The humpbacks of the Northern Pacific usually spent their summer in the rich feeding grounds in front of Alaska, the Bering and Beaufort Sea. 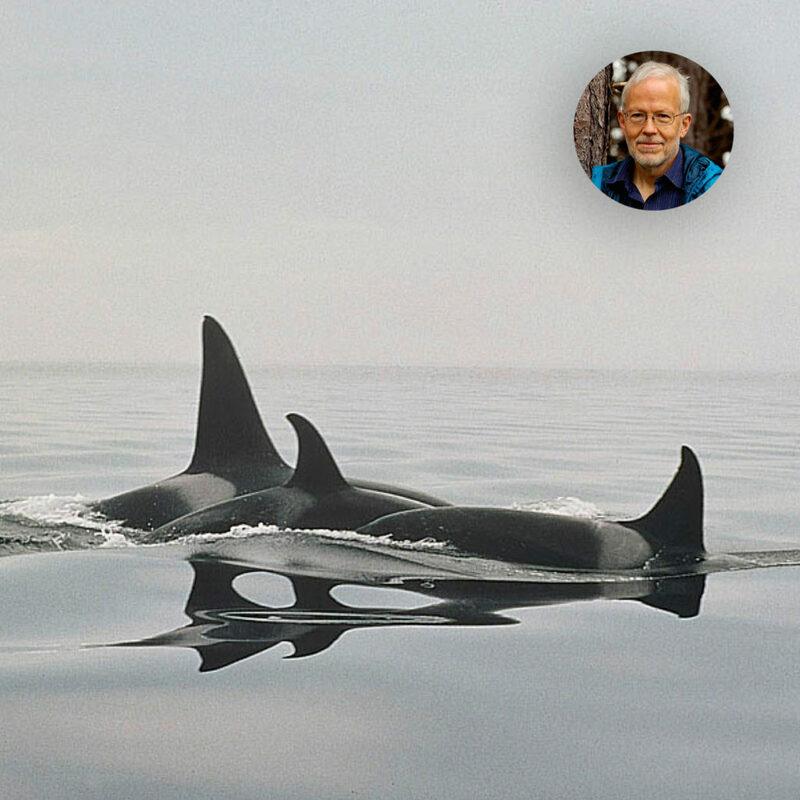 In winter they move to the warmer waters in the south for mating. 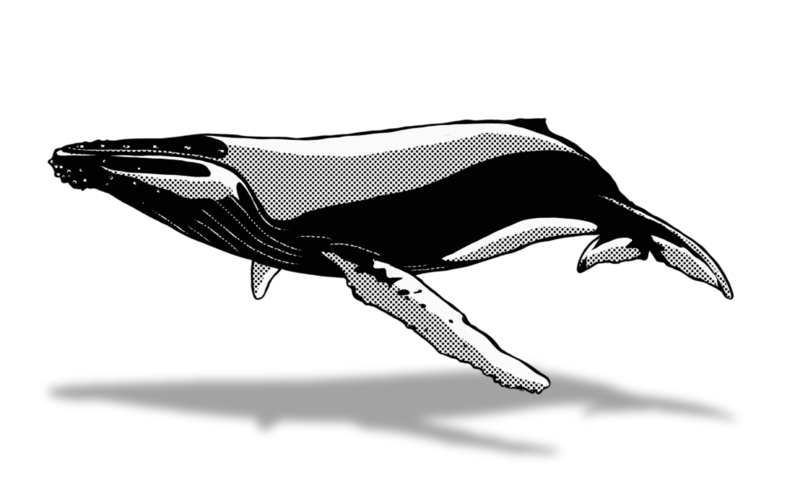 Between December and April, approximately up to 10.000 humpbacks can be found in the waters around Hawaii. 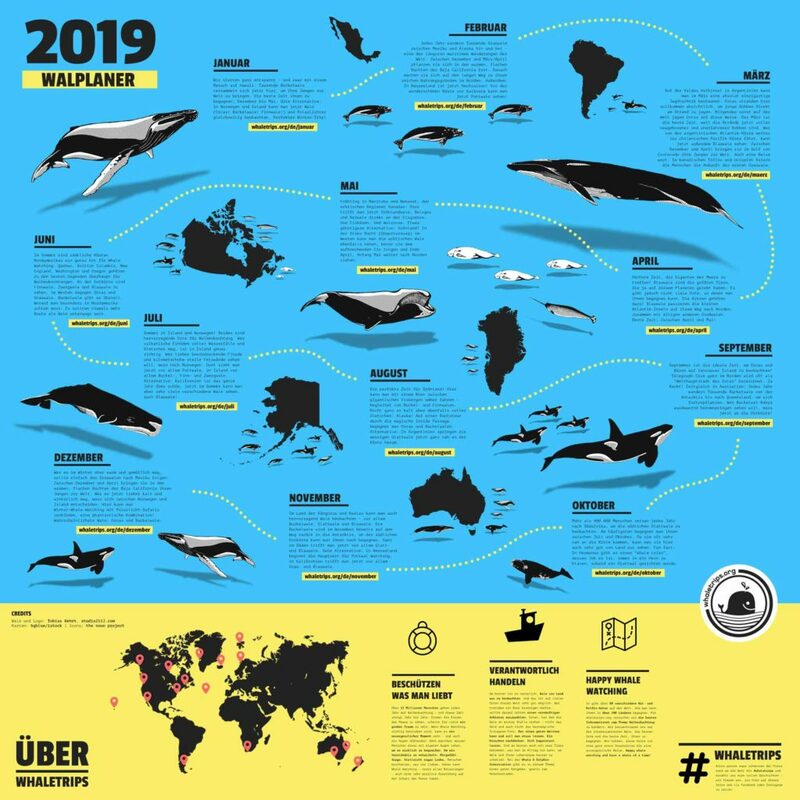 The whales mostly stay in the calm and shallow waters between Maui, Lanai, Molokai and Kahoolawe, where they seem to find the best conditions to give birth. Most boats start from the western coast of Maui, the most important places being Lahaina and Maalaea. 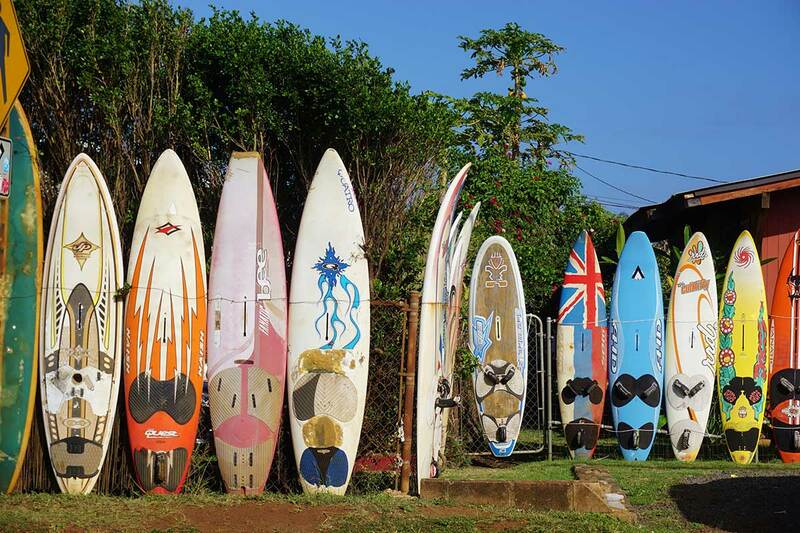 There are also tours starting at Kihei and Kaanapali Beach. 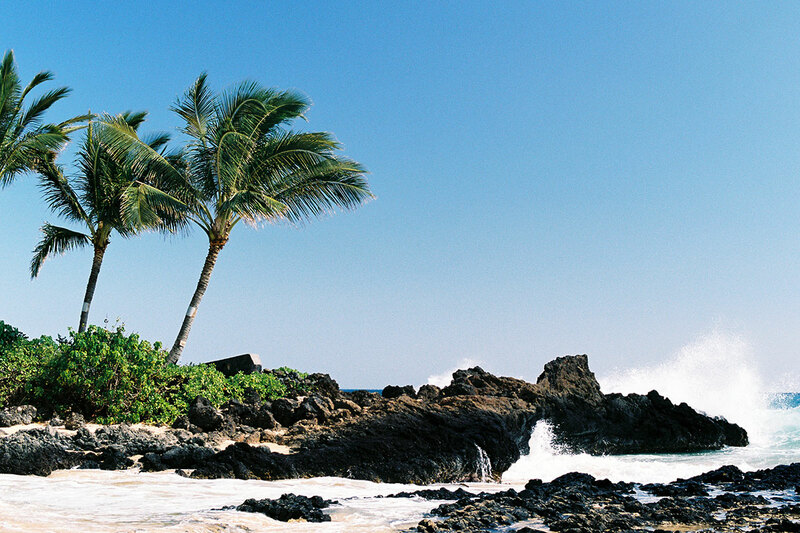 On the main island Hawaii, most tour operators can be found in Kailua-Kona, Keauhou Bay, Hohnokahau Harbour and the Kohala Coast. 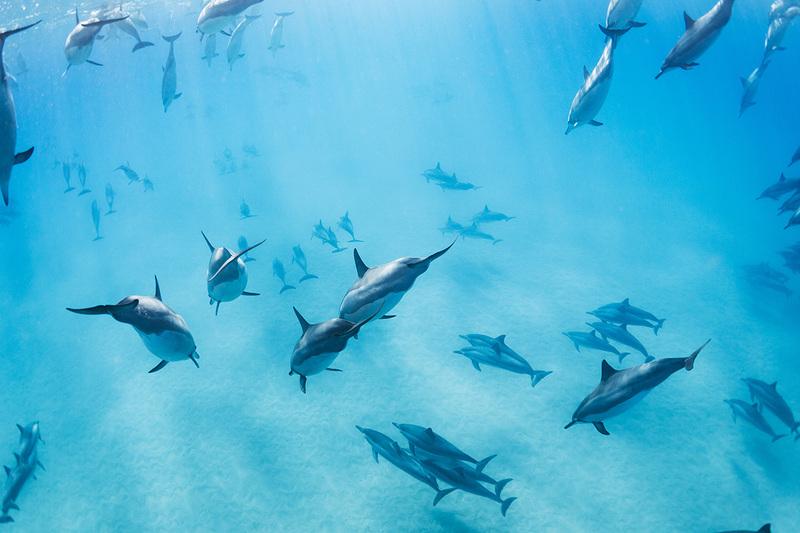 On Kauai most tours start at Port Allen, on Oahu at Honolulu – both rather focusing on dolphins than whales.  Barely any whale watching tours start from the other islands. Every year, about 300.000 people join boat tours from Maui, Hawaai, Kauai and Oahu in order to see humpback whales. Most launch from December to April from Maui. Dolphin safaris mostly start from Oahu and are available throughout the year. 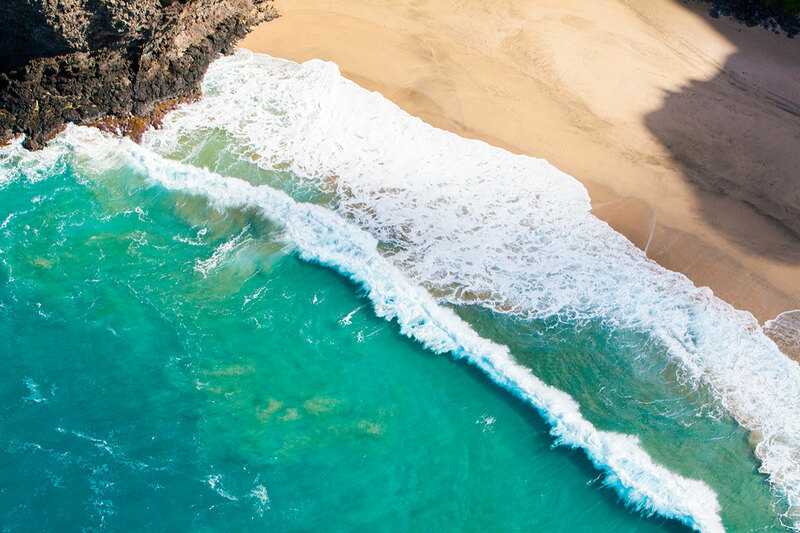 On Hawaii, you can wander between lava fields and active volcanoes and marvel at some of the most spectacular coasts of the world. And apart from world famous beaches, there are also lots of animals, which you can’t find anywhere else. 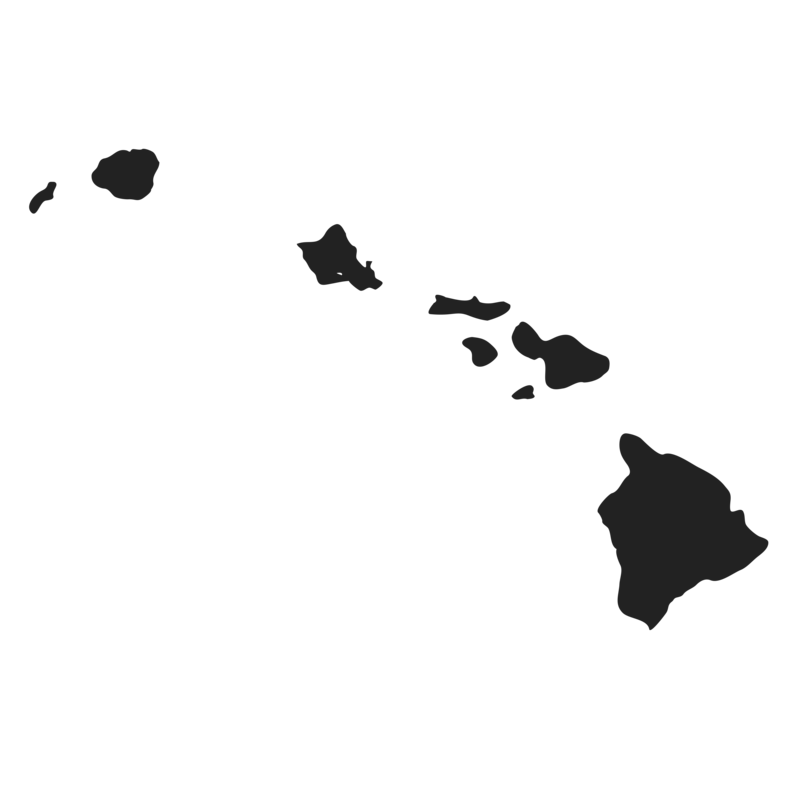 The string of islands in the Pacific is the 50th state of the United States. Geographically, it’s a part of Oceania, though, and not the American continent. From west to east, the eight biggest islands are: Niihau, Kauai, Oahu, Molokai, Lanai, Kahoolawe, Maui und Hawaii – and they all are of volcanic origin. 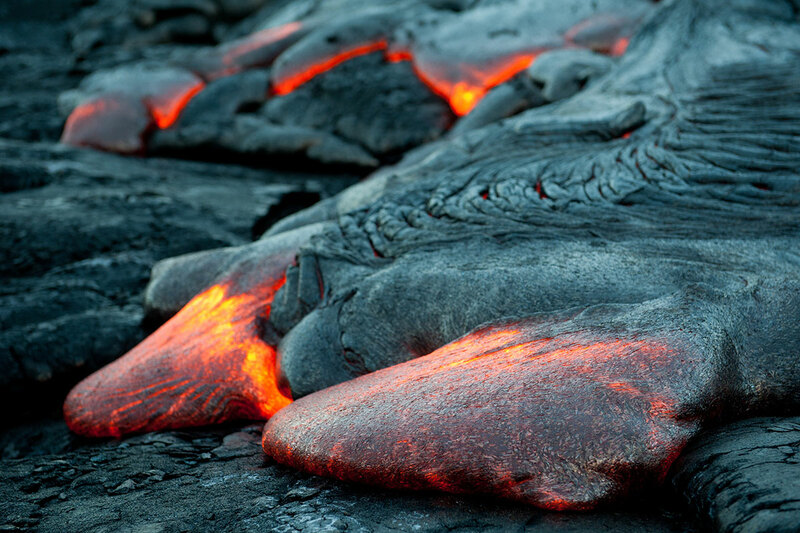 The shield volcanoes of the Hawaiian Islands are the biggest ones on Earth, some of them still active. About 75% of the people live on Oahu with Honolulu, Waikiki Beach and the extinct volcano Diamond Head, which is both landmark and icon of the island. 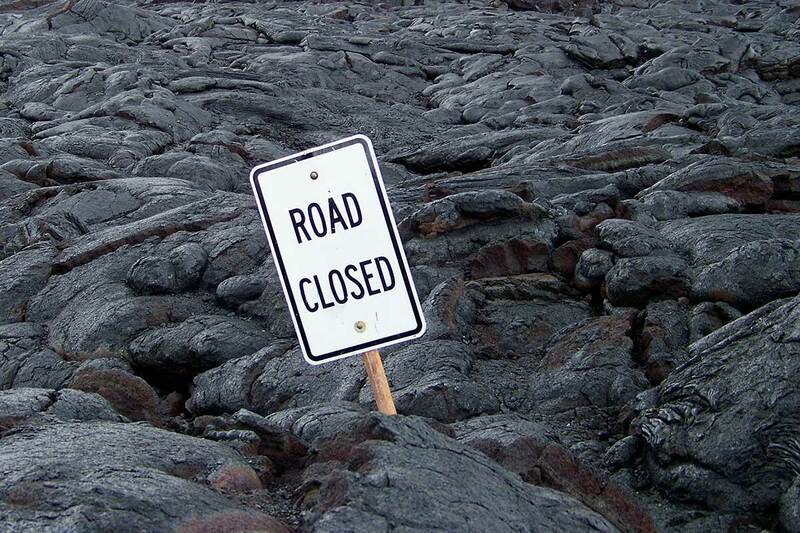 The Hawaii Volcano National Park in the southeast is a World Heritage Site and contains giant lava fields and the Kilauea volcano – one of the most active volcanoes in the world. There are numerous vantage points and hiking trails (from a few hundred to five kilometers) along the 18 kilometer long Crater Rim Drive. 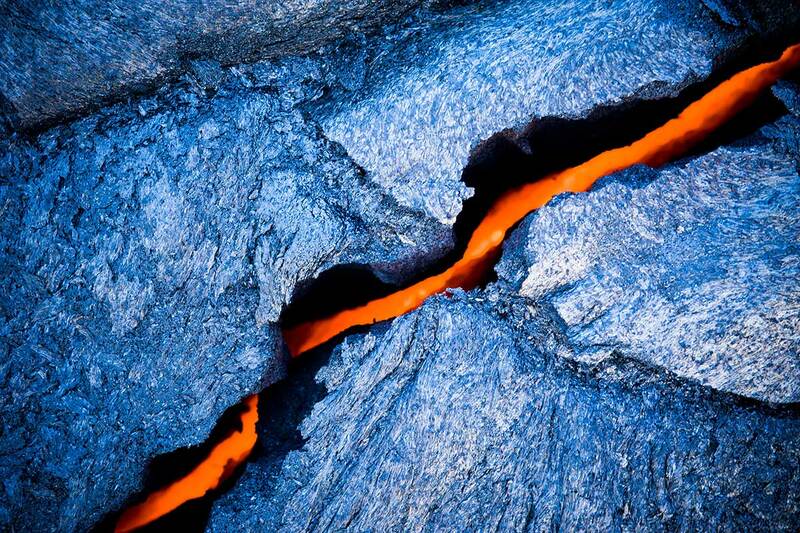 From there you can explore lava fields, lava tunnels, cooled down lava lakes and active craters. The 30 kilometer long Chain of Craters leads a thousand meters down to the coast. 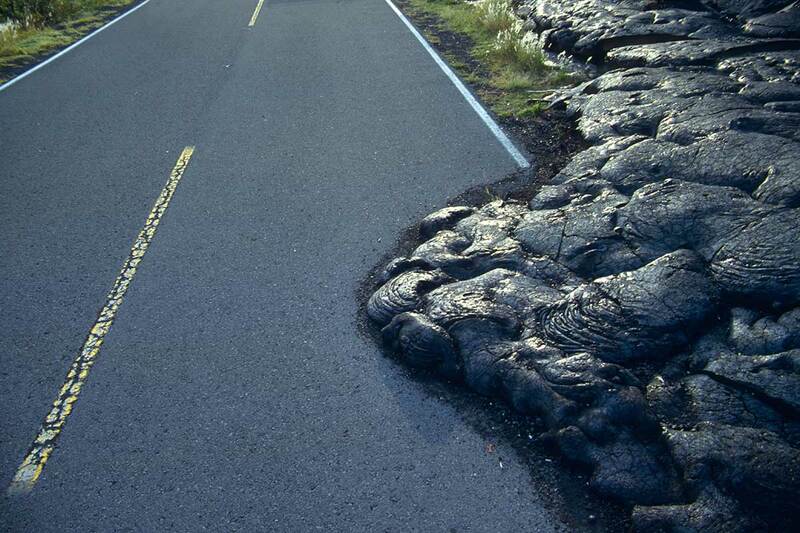 With some luck, you can see lava flow into the ocean at the end of the road. 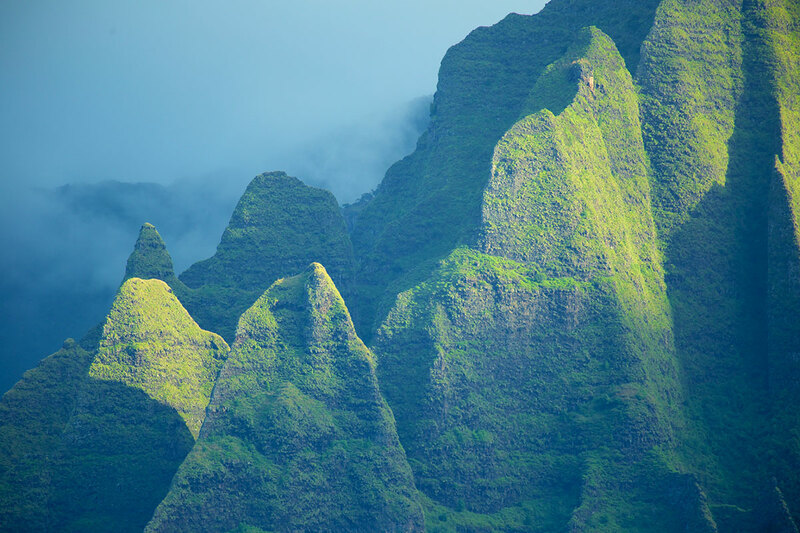 The oldest and greenest island is Kauai with its extremely jagged cliffs along the Na Pali Coast. 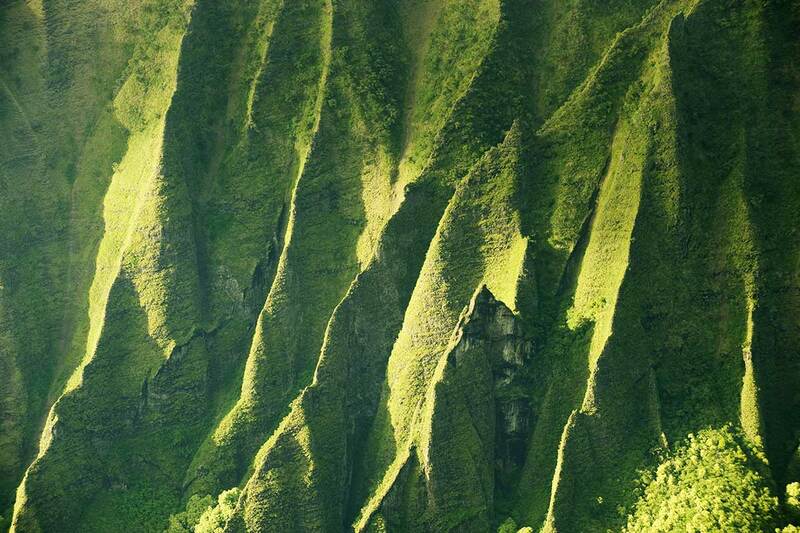 If you see pictures of spectacular, lavish green mountains on Hawaii, those are usually taken at the Na Pali Coast. This is also where Jurassic Park was filmed. 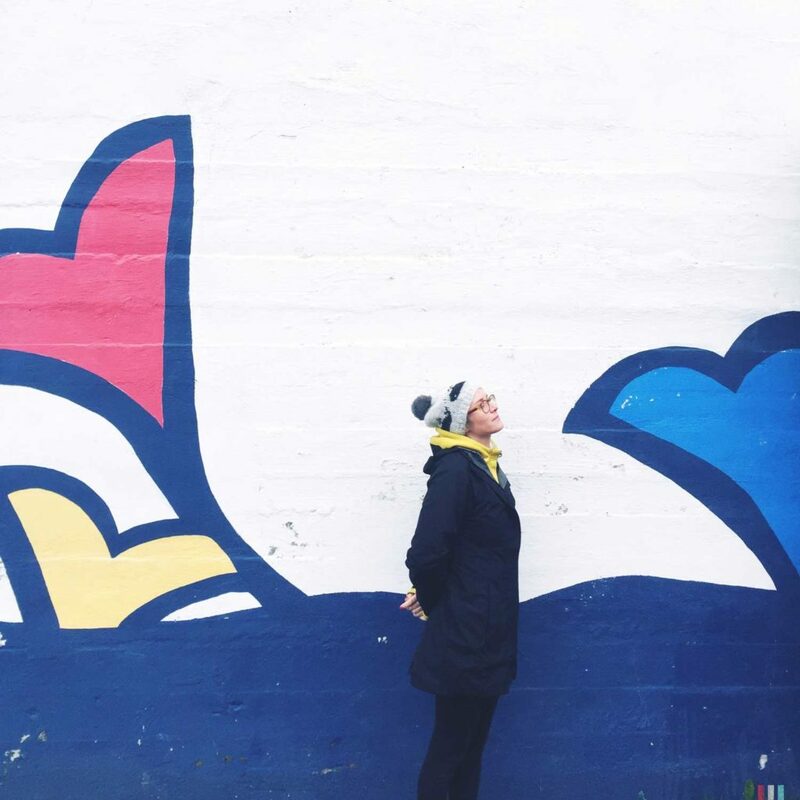 The easiest way to marvel at the coast is by boat from Port Allen or during a guided kayak tour. If you are more for a direct approach, there is the 18 kilometer long Kalalau Trail, leading through spectacular valleys and ending at the Kalalau Beach. The two day trail is, however, one of the most challenging on all of Hawaii. The easiest (and most expensive) way is a sightseeing flight: That way you can also see parts of the coast, which are neither accessible via land nor sea. 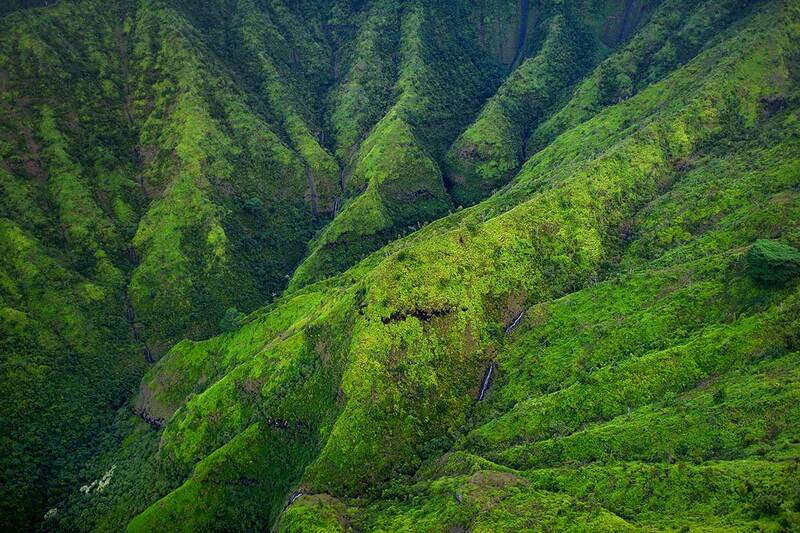 A popular hike on Kauai – the Kukui Trail – leads through the Waimea Canyon for a little less than five kilometers. The canyon is also called the Grand Canyon of the Pacific. However, the route is rather challenging, too. 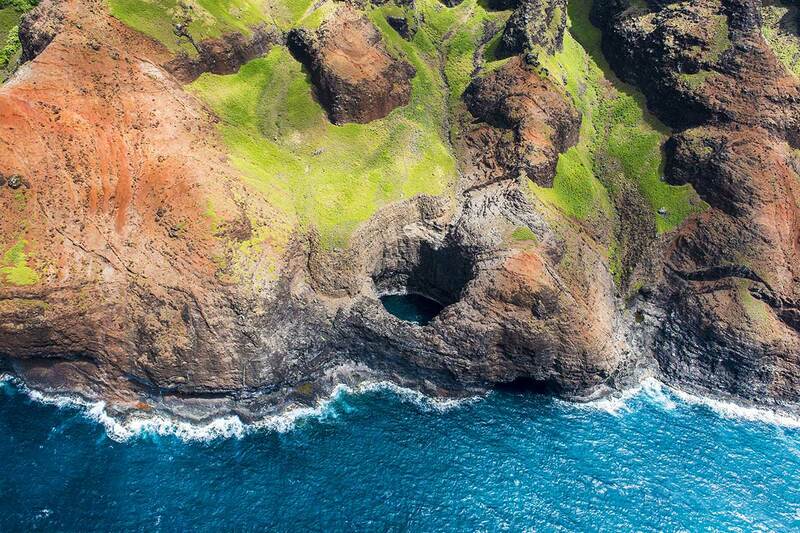 The Road to Hana is deemed one of the most beautiful coastal roads of the world. Following highways 36 and 360 in the east of Maui, it leads through 620 curves and over 59 bridges past coconut palms, waterfalls and black beaches to the coastal town of Hana. Depending on the number of stopovers it can be done as a daytrip or can be booked as a guided tour if you don’t want to drive yourself. 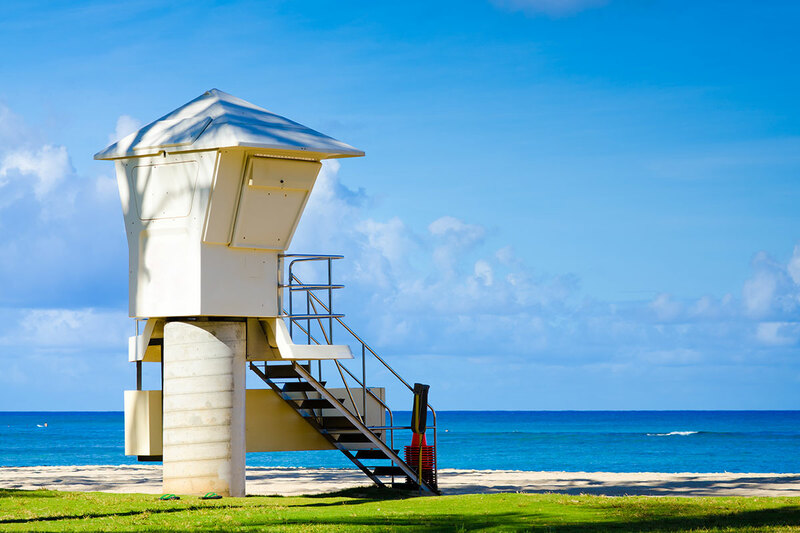 Surely, the most famous beach of Hawaii is Waikiki Beach in the southeast of Honolulu, stretching up to the Diamond Head. Two of the most beautiful beaches of the world, though, are Hanalai Bay (Kauai) and Hamoa Beach (Maui). 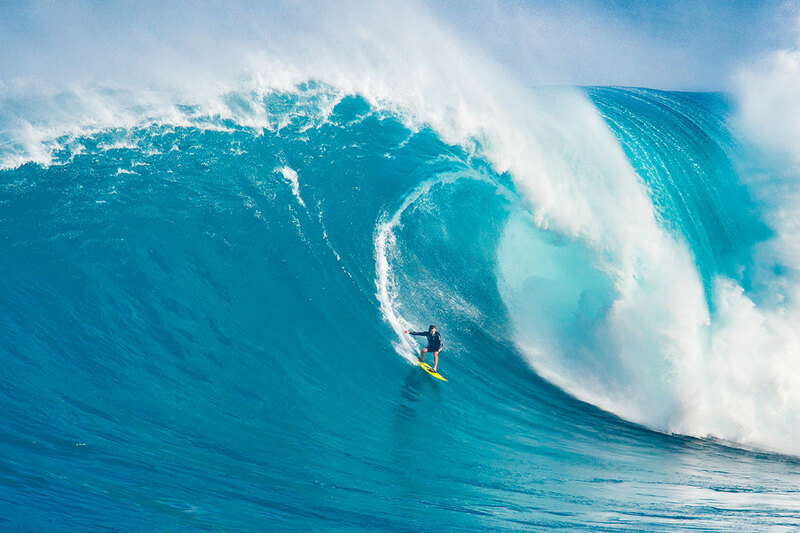 Apart from Hanalai, the northern coast of Oahu with Banzai Pipeline, Waimea Bay and Makaha Beach are very popular among surfers: In winter, monster waves await! 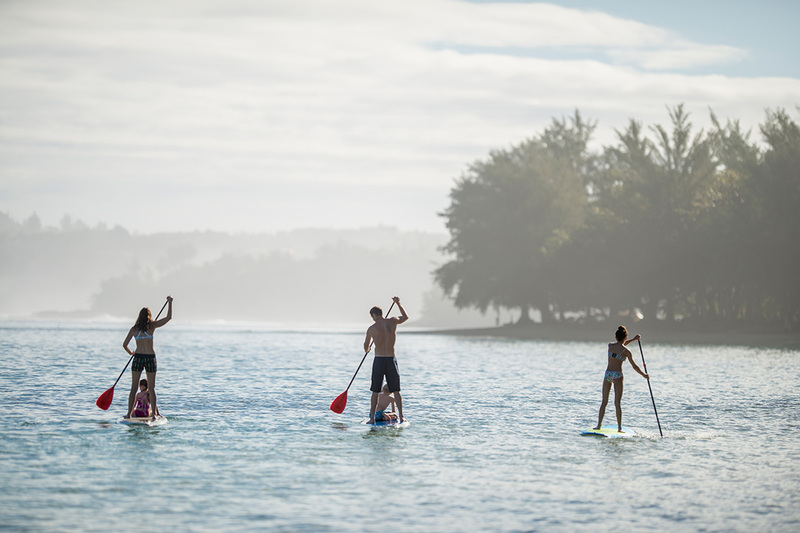 Beginners should rather start at the southern coast of Oahu. 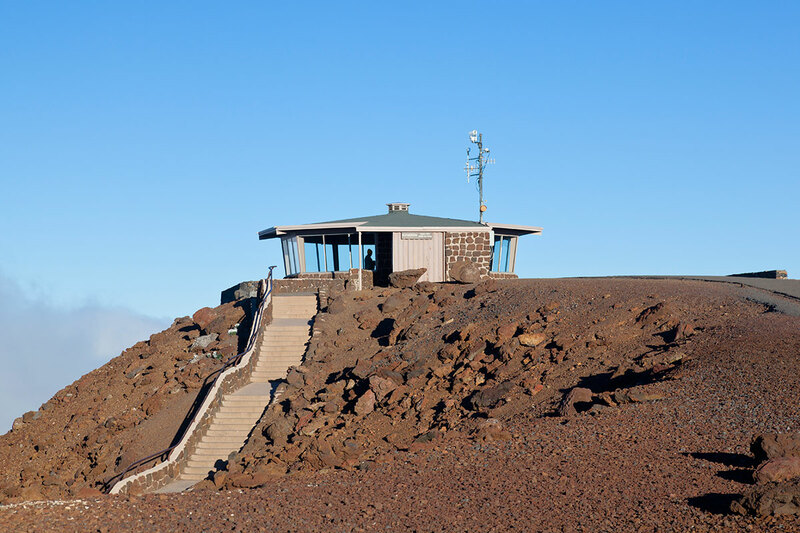 As Hawaii is extremely remote – taking into account all directions, it is the most remote place in the world – there are a lot of endemic animals, animals only to be found in here. These are mostly birds, reptiles and insects. Usually, they came onto the island at random, where they developed in a completely different way than their relatives on the mainland or on other islands. Nice: There isn’t a single poisonous snake on Hawaii. 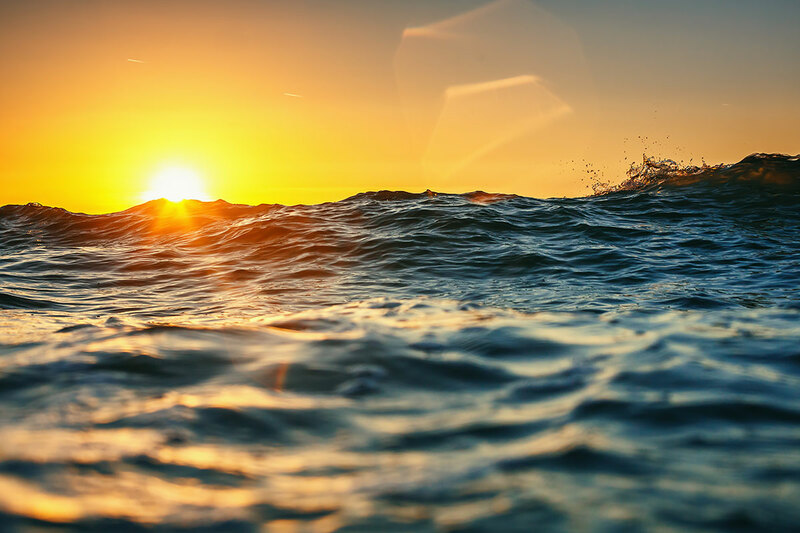 The waters around Hawaii are a paradise for divers and snorkelers. 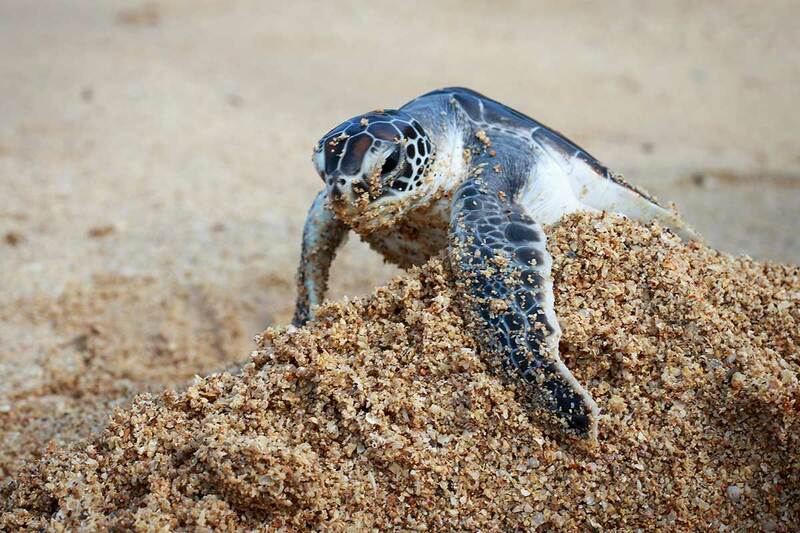 Millions of colorful fish, manta rays, octopuses, morays, sharks, seals and turtles (green turtles, leatherback turtles and hawksbill turtles) live in the vast coral reefs, which are constantly expanding because of the active volcanoes. If you are lucky, you can even meet dolphins and humpback whales while snorkeling. The iconic signature-fish of Hawaii, by the way, is called Humuhumunukunukuapuaa. It’s striped in white, black and yellow and only lives here. Hawaii lies about 3.700 kilometers southwest of the US West Coast. The island group consists of 137 islands and atolls. Most are uninhabited.